Not All Horseless Carriages Are A "Horseless Carriage"
According to the Horseless Carriage Club of America, the term "horseless carriage" applies to any pioneer gas, steam and electric motor vehicle built or manufactured prior to January 1, 1916. This unique period of automotive history covers the turn of the century to the end of carriage coachwork, gas lights, hand cranking and profuse use of brass. Many of these cars do look like a horse carriage retrofitted with a motor and drive train, and some of them even lack a roof. In a lot of these cars the passenger compartments were added separately, giving the effect of a couple of boxes on wagon wheels. It was only towards the end of the era that designers really started designing car bodies as a whole. The minimum vehicle age for eligibility is 30 years old. That said, please know that Chubb will consider these vehicles on a monoline basis. If pursuing a monoline policy, though, know that Chubb generally does not accept newer special interest cars, i.e. 2007 and later Shelby GT500 (top of the line Mustang), Corvettes, etc. While these newer special interest vehicles can certainly be considered part of a larger account situation, provided the usage and security are acceptable AND Chubb will also write the regular use vehicles, please note some examples of cars not quite 30 years old that have qualified in the past: early '90s Mercedes SL's, Porsche's (911, 928), Land Rover Defender 90's and 110's, etc. Chubb's Collector Car program is available to members in all states. Learn more by logging into Big "I" Markets. Big "I" partner for human resources consulting and personality testing, Caliper, has announced a new service for scheduling appointments called ScheduleOnce. The new software is in effect now. No more waiting for appointment confirmations or struggling to decide how much time to schedule. Now, within seconds, you can easily pick the day and time that are most convenient for you and schedule it right into your Caliper consultant's calendar. When your Profile results are ready, you'll receive an e-mail that contains a link to your consultant's calendar. After clicking the link, choose the consultation length and appointment time that best fit your schedule. Fill out the appointment form, and click "Schedule appointment." It's that simple. Click here to see the new interface. 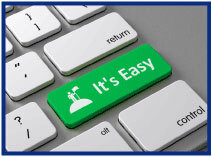 Then, you'll receive an e-mail immediately confirming your appointment and have the option to add it to your calendar. You'll also get a reminder from Caliper 1 hour before your appointment time, and you'll have the option to reschedule your appointment straight from the e-mail or the calendar event. If you have any questions, don't hesitate to call Caliper Customer Relations desk at 609-524-1400, or e-mail caliper@calipercorp.com. Learn more about your exclusive Big "I" member discounts on Caliper products and services at www.iiaba.net/Caliper. 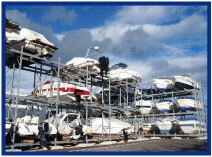 With the summer boating season now behind us, boat owners across the country are beginning to prepare their vessels for winter storage. To help customers with this important lay-up process, Chubb is sharing their updated "Going Into Lay-Up" tip sheet, along with a full length "Going Into Lay-Up" brochure. Developed by Chubb's team of highly experienced marine specialists, these education resources are designed to help yacht and boat owners store their vessels safely over the winter and ensure readiness for spring commissioning next year. Elite Yacht® Program (70’ or larger, valued at $3 million or greater, having a full-time paid captain) The Elite Yacht® Program is Chubb's exclusive program to fulfill the specialty insurance needs of luxury yacht owners with vessels valued at $3 million or greater. Exceptional yachts require specialized insurance protection and the Elite Yacht Program provides significantly increased benefit levels for a broad range of coverage, along with many other valuable and unique policy features. Log into www.bigimarkets.com for full details. Sail over to www.bigimarkets.com and choose any of these products from the personal products menu to review full coverage details or to submit a quote. This webinar has been rescheduled from its original date of Friday, 10/21. We regret any inconvenience. Join us to learn about an exciting set of security tools being offered FREE for all IIABA agents & brokers! ACT is partnering with the Center for Internet Security (CIS) to offer their comprehensive set of 'Cyber Hygiene' tools to help agencies count, configure, control and patch all software, hardware, and security-related aspects of agency business. In this webinar, a representative from the CIS will discuss the Cyber Hygiene tools in detail, giving you insights on how to download and use these tools, creating the needed plans to protect your valuable agency hardware and data. October 27 - 1:00 - 3:00pm EDT. "NFIP: Change, Chaos and Confusion" In this two-hour session, David Thompson of the Florida Association of Insurance Agents teams up with Chris Heidrick of Heidrick and Company in Sanibel Island, Florida to bring you up to speed on where we were and (as best as anyone knows) where the NFIP is going. Subjects such as subsidized rates, grandfathering, refunds, surcharges, lapses, and the ever-popular robust private flood insurance market will be discussed. Click here to learn more and register. Last week after the "Parting Shot" on insurer logo usage, I had a conversation on the importance of appointment and licensing fees to insurance departments. This was after a recent Washington Post article reference to premium taxes. The article stated, "On average, NAIC data from last year shows that 6 percent of the annual revenue collected by insurance departments was spent on regulation... In most cases, the rest of the money is deposited into states' general funds..." A link to that article on insurance regulation is here. This motivated a review of the importance of premium taxes. So, just how important are premium taxes to state budgets? After a cross reference to all state taxes for 2015, the answer is that the average is that there is $1 of premium taxes for every $49.50 in all state government tax collections (i.e., premiums taxes are 2.1% of all state taxes). 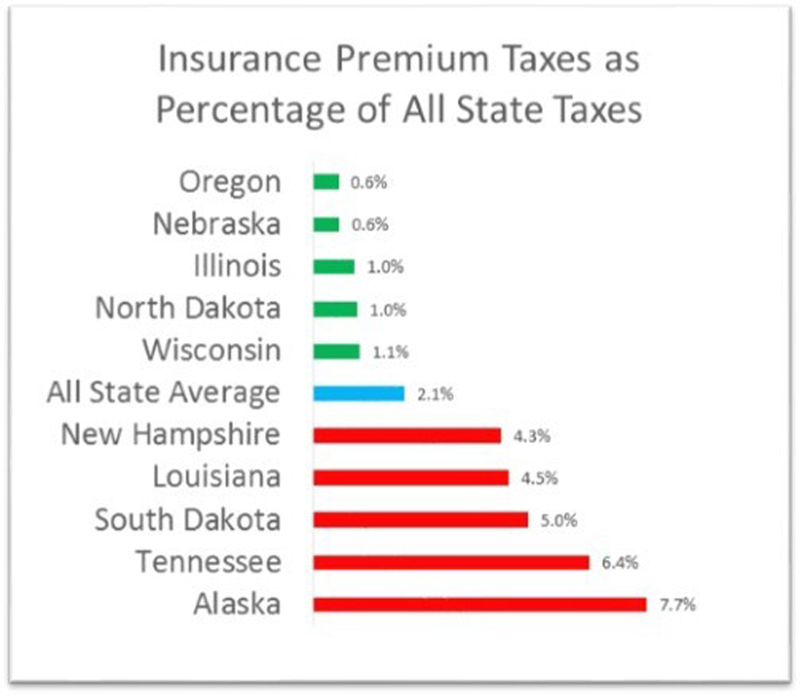 I was surprised at the variance in reliance on premium taxes from state to state. Below are the top five and bottom five states with respect to insurance premium taxes as a percentage of all taxes and fees collected in states. If you want to know the info for your state and it's not listed below, email me at paul.buse@iiaba.net. Source: U.S. Census Bureau, 2015 Annual Survey of State Government Tax Collections. Note/Clarification: There is a difference in premium tax rates and the portion of a state's budget that comes from premium taxes. The above ARE NOT average state premium tax rates. Coincidentally, the AVERAGE of both is very close to 2%. This is because total insurance industry premiums (life, health and property/casualty) is about $1 trillion and total state tax revenues in 2015 was $916 billion. Congratulations to our agent in Kentucky on a habitational - condominium sale of $16,349 in premium!